Security expert Matthias Clarke hunts down people who don’t want to be found. His latest prey: the sole survivor of a massacre that killed his brother years ago. Kayla Roy claimed she was a victim of the carnage. Then she disappeared. Matthias thinks Kayla may have actually been the killer—and he wants justice. Kayla Roy never stays in one place too long and never lets a man get too close. But keeping Matthias at arm’s length may be impossible. Dark and enigmatic, Matthias draws Kayla in from the start. She knows nothing about his connection to her dark past, or his thirst for vengeance. She only knows their attraction feels overpowering—and very dangerous. Matthias’s suspicions about the sensual Kayla clash with his instinct to protect her, especially when he realizes her life is in danger. 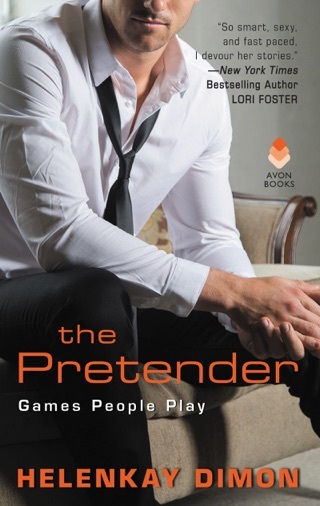 But Kayla’s not looking for a savior—especially one who seems hell-bent on tempting her down a lethal path. 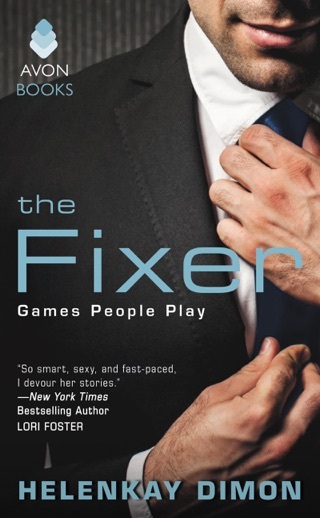 The Enforcer by HelenKay Dimon was just as mysterious and intriguing as The Fixer in the Games People Play series and can be read as a stand alone. From the very first page you will be hooked. The Enforcer is full of intrigue and mystery and you can’t help but keep reading all the way until the every end. Matthias and Kayla are fantastic characters. Broken. Defensive. Strong. And quite perfect together! They challenge one another but also lean on each other. Matthias is tasked with finding Kayla to hope solve a massacre that happened years ago. He is misled by the person requesting this, but learns it the hard way. Kayla is careful of Matthias from the beginning. She has been on the run for a long time and knows when danger is near. Somehow, through Matthias’ creepy (according to another character Garrett) ways, he gets a foot in the door with Kayla. Slowly but surely their relationship begins and the mystery starts to unfold. It’s quite a read! I like a good suspense story and The Enforcer has plenty of that. I found my heart racing several times. Dimon does a great job with all the descriptions and emotions of each character in the story. I suspected a few people as the murder but was quite surprised at the end. I don’t think I can write a review and not talk about Garrett. We met him in The Fixer and get a lot more of him in The Enforcer. Garrett tags along against Matthias’ will and just adds so much to the scenes he is in. He is hilarious, smart, sarcastic and just pure joy to read about. 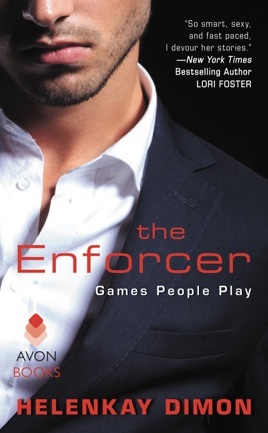 If you are looking for a well written, romantic suspense with strong characters, heart pumping action, passion and an engaging plot, give The Enforcer a try!